Hello! It's your blog "mistress" here! 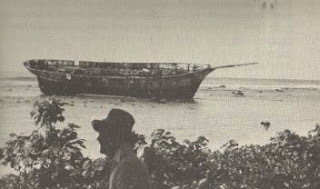 I found some pictures of the Yankee and thought I would share them here. 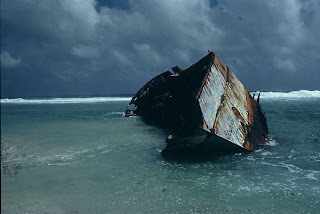 In 1963, the Yankee ran aground in the Cook Islands, off the coast of Rarotonga. Here is what she looked like within months of that accident. This photo, while not dated, is clearly some years later. Here's what she looked like around 1989. This is the most recent photo I could find. Someday I'd like to visit the Cook Islands to see if I could take more pictures, and just experience the beauty and culture of this place.